Utilizing gameplay footage from the in-game Theater Mode of Activision's, record-breaking, "Call Of Duty Black Ops 2," and "Modern Warfare 3," BEASTLY Theater created content for a worldwide audience that not only garnered global praise and subscriptions from top ranked, professional gamers, but unlike other "Machinima," pioneered the trend for incorporating conceptual thinking and visual storytelling into the Theater Mode platform, which was originally developed for users simply to share gameplay clips on social media. Employing multiplayer gameplay footage that was directed, edited and synced to score using the Call Of Duty Black Ops 2's in-game Theater Mode, "FR33DOM FIGHT3RS" engages the audience while exploring the geopolitical dichotomy surrounding the term "freedom" and the cyclical nature of its cost. 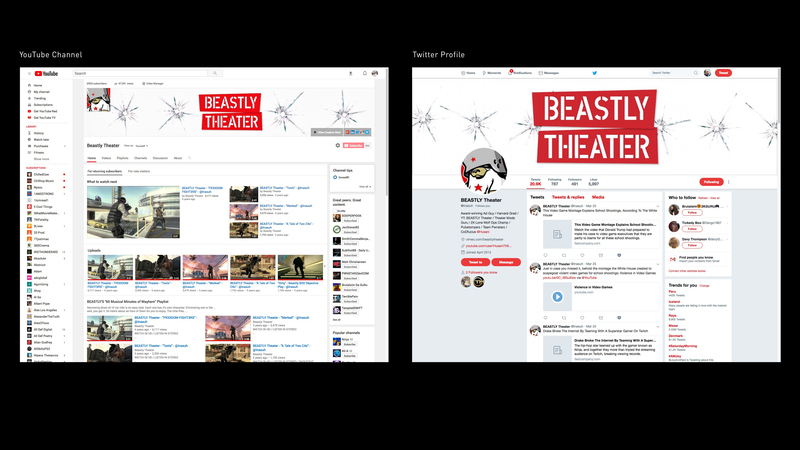 At the time of the original upload, viewers were encouraged to join BEASTLY Theater in donating to the "Wounded Warrior Project" & "Operation Second Chance." While "frag clips" are a dime a dozen, "Tools" plays off every facet of it's definition by bringing a greater level of cleverness to what is often, an uninspired, first-person medium utilized to promote skills and embarrass opponents. In addition to employing specific environments, signage, and multiplayer gameplay footage that was directed, edited and synced to score, "Tools" showcases an inventive use of the Call of Duty Black Ops 2 Theater Mode and it's respective camera dolly system. 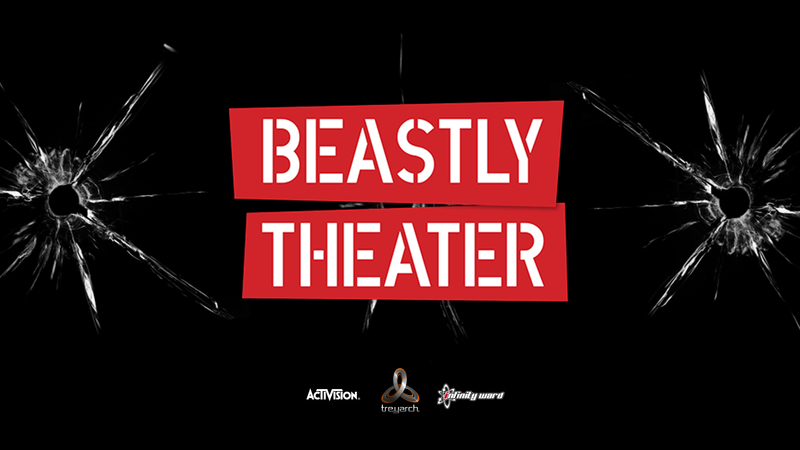 Employing inventive dollying techniques in addition to multiplayer gameplay footage that was directed,edited and synced to score, "MERKED" flipped the script on the typical, unimaginative "frag movie" to create a visually engaging story of revenge; pushing the original intent of Theater Mode from simply sharing "trophy moments" to something more grandiose.